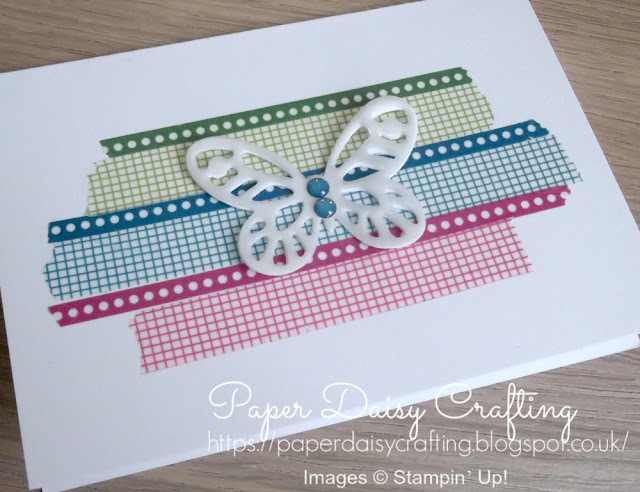 Paper Daisy Crafting: More bold butterflies with washi tape from Stampin' Up! More bold butterflies with washi tape from Stampin' Up! Ha ha! Are you fed up with butterflies and washi tape yet? I hope not because I still have a couple of samples to show you. This time I went for some of the darker shades of washi tape and arranged it horizontally. A layer of vellum over the white butterfly, but not coloured this time and a couple of our Glirrer Enamel dots and I was done! Again just used one of our notecards to make a super quick card! Again very quick from me today. 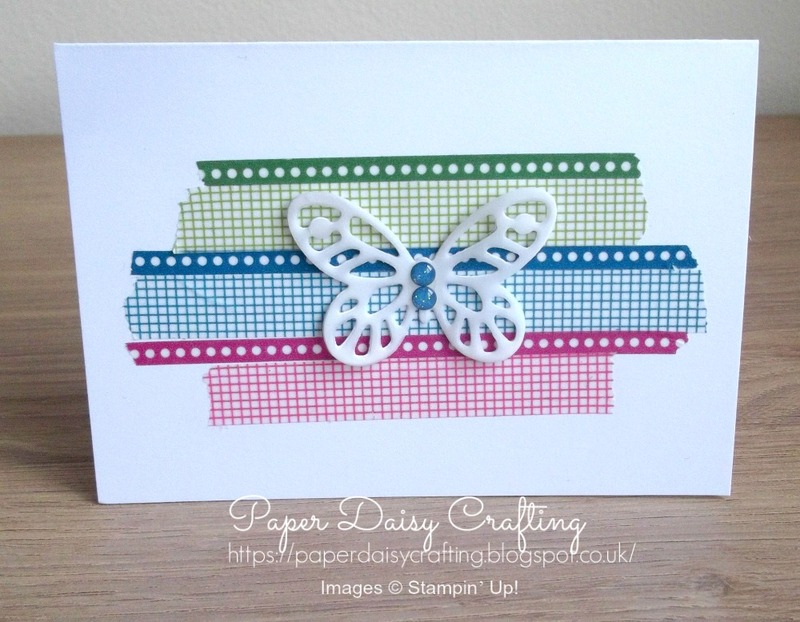 I have one more sample of butterflies and washi tape to show you tomorrow before we move on to something new! If you order from my online shop please use my monthly shopping code (below) to receive a free thank you gift from me as I really appreciate your business.